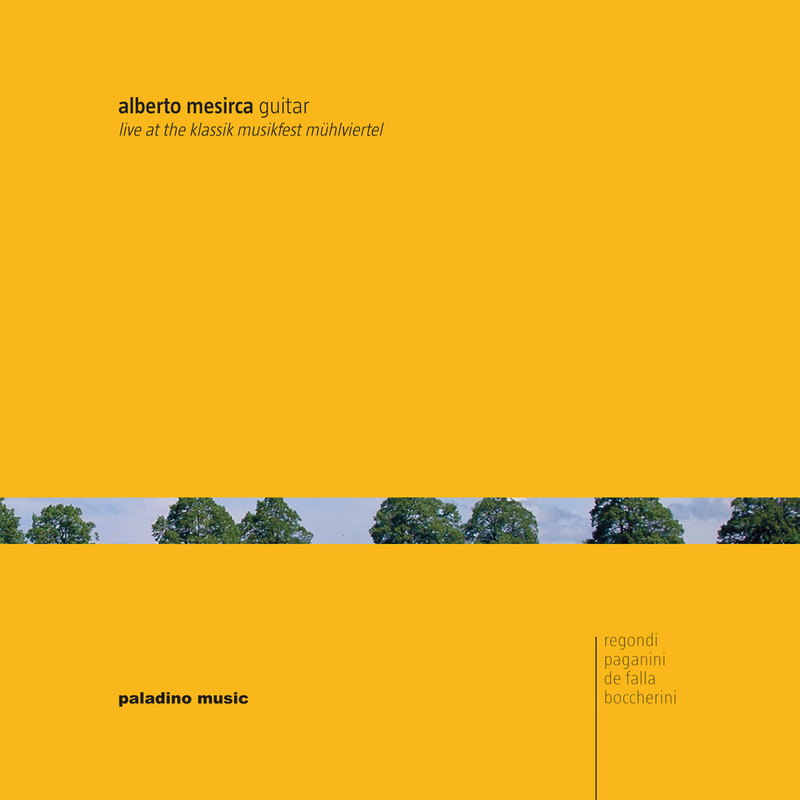 When, in the early 2000s, I was teaching at the Musikakademie in Kassel, I was on the panel for Alberto Mesirca's Konzertexamen - and was completely blown away by the artistry of this young guitarist. In 2008, he came to the Klassik Musikfest Mühlviertel in Oberneukirchen and luckily all his performances there were recorded. The theme of the festival was "G'sungen und g'spielt", which explains the selection of works on this recording: Gulio Regondi's virtuoso "Introduction and Capriccio" is one of Mesirca's signature pieces, followed by the inextinguishable Paganini Cantabile and the famous de Falla Suite, here in an arrangement for cello and guitar. The Boccherini Quintet is one of the most famous pieces of this composer and needs no further explanation. It was there that Alberto Mesirca met Vladimir Mendelssohn who subsequently invited him to come to Kuhmo - this is exactly my idea of a summer festival and the creation of an artistic family that works together wherever possible. The American Record Guide liked this CD - and I hope you will too!